Soon, I am brewing SheppyBrew's world-famous Quarter Life Crisis Hoppy Red Ale. My birthday is coming up, and my life will be almost 27% over. Obviously, this is a great time for a Quarter Life Crisis. I can't, after-all do a mid-life crisis yet. 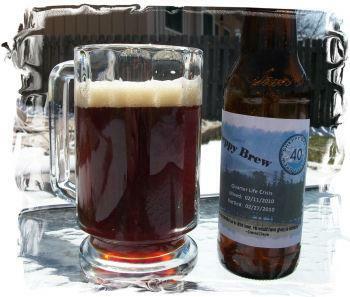 If you've been following this blog long enough (or just followed the link above), you may remember that this beer came about after I received Jamil Zainasheff's and John Palmer's book Brewing Classic Styles as a gift on my 40th birthday. It is a hoppy "West Coast" Red ... or at least that is what I call the style. Basically, it is hopped like an IPA, but is darker in color and more complex in the malt bill. I happen to really like this style of beer. I know some of you out there don't. If you are one of those, feel free to brew something else. This is the fourth time I'm brewing this beer. I am increasing the hops, and in fact trying a new hop (for me) in the beer. In the three other batches, I have used the old-reliable Fermentis US05. 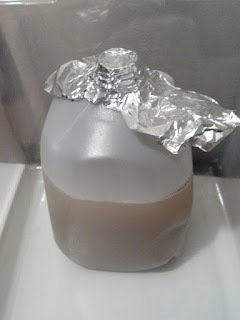 I know some home-brewers stay away from dry-yeast, but I have had good results with the Fermentis yeasts, so I don't have a problem using them. I think most of the issue home-brewers have with dry yeast is the perception of the generic yeast pack that has always come with malt kits. The quality and general character of those was always questionable at best, and the perception is that all dry yeast is like those little packs. In reality, though, there is nothing wrong with dry yeast per sea. When I was my favorite Local Home Brew Shop, though, I saw they had White Lab's WLP090 San Diego Super Yeast. A super clean, super fast fermenting strain. A low ester-producing strain that results in a balanced, neutral flavor and aroma profile. Alcohol-tolerant and very versatile for a wide variety of styles. Similar to California Ale Yeast WLP001 but it generally ferments faster. I'll be honest, I decided to try this yeast on impulse. I've heard it advertised on The Brewing Network for quite awhile and it always sounds so cool. I mean ... seriously ... who would NOT want to ferment their beer with SUPER yeast? You want a SUPER clean beer? (of course you do) You want the fermentation to go SUPER fast? (certainly ... as long as the beer is super clean, anyway) All you need is this San Diego SUPER Yeast. I am quite certain that a beer brewed with a SUPER yeast will turn out .... well ... SUPER. And plus, I like the muscular little cartoon character (pumpkin headed?) Super Yeast Dude on the vials. I don't usually consider myself a sucker for advertising, but this purchase is completely based on excellent marketing by White Labs. I guess I always thought it was a super-secret house yeast of one of the San Diego Craft Breweries, but according to Chris White in the video above, that is not the case. I am going to go ahead and trust Chris on that. Actually, it doesn't affect me one way or the other. As long as the yeast is SUPER and ferments SUPER and creates SUPER beer, I don't really care where it comes from. Anyway, I made a yeast starter last night. I feel that theoretically, a truly SUPER yeast might not need it, but it never hurts to give the little sugar-eating-alcohol-producing critters every advantage possible. The SUPER yeast is working diligently as we speak on the starter-wort. I don't notice anything remarkable about this mini-fermentation, but I am quite certain it is going SUPER. Stay tuned for more about Quarter Life Crisis brew day. I'll certainly try to remember to let you know how the SUPER yeast performs. By the way ... 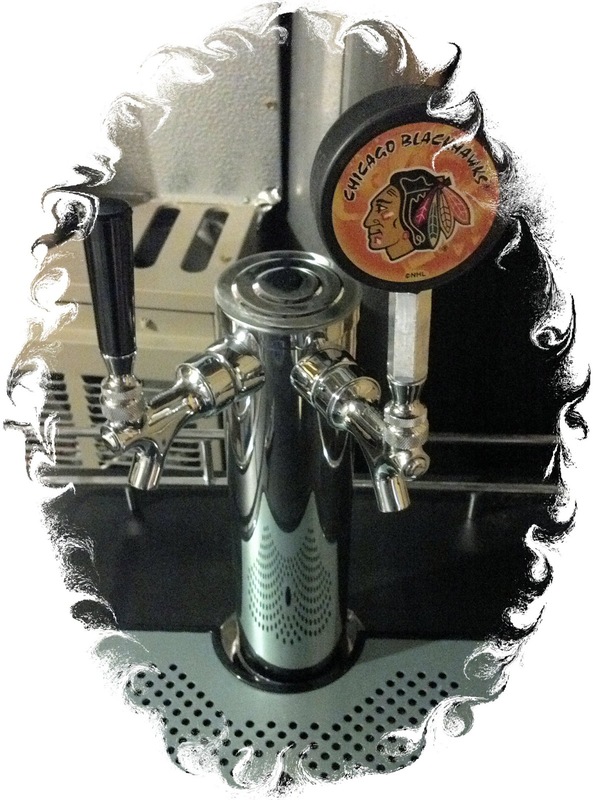 I finally upgraded my keggerator to have two taps. 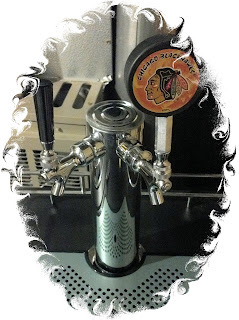 Until now, I have always had to open the keggerator and pour from a picnic tap to get beer from one of the corny kegs. The double tap should be much nicer. While adding the new tower, I did notice that both my current kegs (Whacko Wife Pumpkin Witbier and Blackhawk Black Ale) are getting pretty low. Who keeps drinking all my beer? Wow ... not exactly sure how to respond to that, Tahsin ... other than to ask my other readers not to click on the spam link you provided. Thanks, for leaving a comment, though.